Also...we have a winner of the Ultimate Valentine Party Package Giveaway. 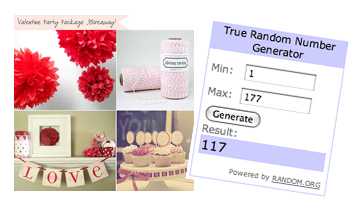 #117 - Freja - Congrats!! Please email me your address to receive all these fun prizes! Again, I wish everyone could win, but there is plenty of time to order your favorites to get them in time for V-day! And remember, today is the last day for your discount for IHOD readers at Bekah Jennings Shop! Last P.S.!! Rachel of Lovely Clusters has begun this years Lovelies Awards! It is a blast, and you should definately consider voting and nominating for your fave shops/blogs! I will let you know who I am nominating soon. I have donated an IHOD necklace for the pretty prize box;) Head on over if you have the chance! 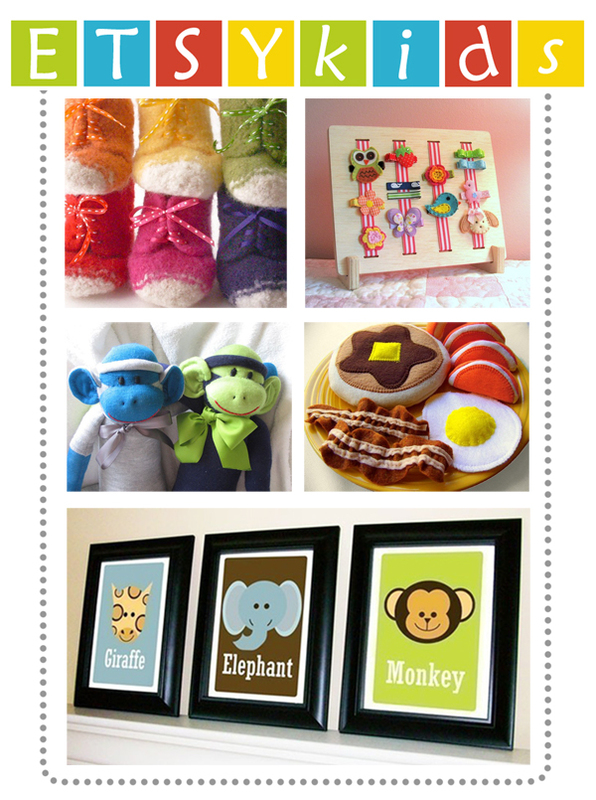 Those framed animal photos are so adorable! the little sock monkeys are the cutest! Hope your week continues to shine brighter and happier...thinking of you. What adorable things. Love it! i adore all the hair clips and also the felt pancake breakfast! how very adorable! Those look like some beautiful high-quality kids toys! I love the sock monkeys & pancake breakfast the best but they are all amazing! Hey there, Anna! Thanks for your comment on my blog so I could find out about yours. those are such cute etsy kids sites. Love the felted breakfast - so much nicer than plastic!